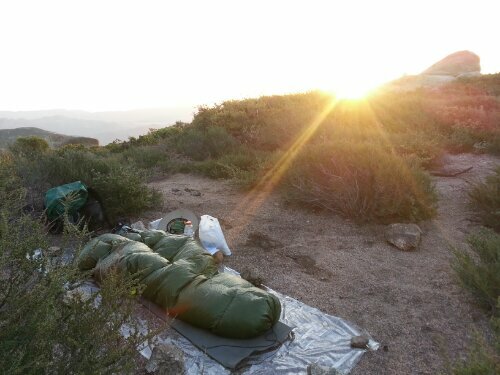 Camping in the Laguna Mountains on the Pacific Crest Trail. Photo by Carrot Quinn. Portland resident and creative nonfiction writer Carrot Quinn is hiking the Pacific Crest trail and blogging her adventure with a literary flare. She’s out there experiencing the usual through-hiking misadventures of meeting new folks, looking for water, grappling with blisters, stifling heat, and fixation on food — but her descriptions have a way of drawing readers into her headspace, as though we’re hiking the trail alongside her. Read about Carrot’s trail adventures at http://carrotquinn.wordpress.com. Another fun Pacific Crest Trail blog is Trail Fresh, another frequently updated blog that’s heavy on photographs. And finally, The New Nomads. Kimberlie attempted to through-hike the PCT in 2012. Progress was going well until she reached a remote section of the Sierras, where she started to experience severe neck pain and pounding headaches. She rested in a camp for a few days as her condition continued to deteriorate. The next thing she remembered is waking up in a hospital nearly a week later. Doctors informed her that she had suffered a stroke. She was 30 years old with no family history of stroke, but she was several days from help, which was orchestrated by fellow hikers as she lapsed in and out of consciousness. She was lucky to be alive. But she made what appears to be a full recovery and is determined to complete her trek. She’s currently at mile 265. You can catch her updates at http://thenewnomads.com. British adventurer Sarah Outen is currently attempting to circumnavigate the globe using only human power in her “Londen to Londen via the World” expedition. 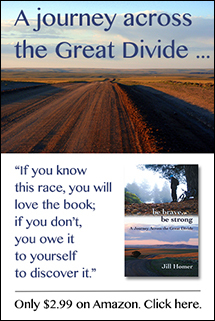 After pedaling a bicycle and kayaking across Europe and Asia in 2011, she set out to row across the Pacific Ocean. Her journey was cut short by Tropical Storm Mawar, when her boat capsized and she nearly lost her life. She spent the next nine months recuperating physically and mentally, and is determined to complete her expedition. On April 27, she set out again and hopes to reach the United States by October. Sarah has made several phonecasts to her blog, where you can listen to her daily report, musings about the scenery and stars, and learn more about the motivational powers of “happy socks.” Follow along at http://www.sarahouten.com/blog/phonecasts.